Frontier Airlines captain Gerhard Brandner just shot to the top of our cool list. 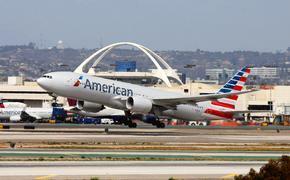 Brandner’s Flight 719 was twice-delayed by storms on Tuesday night. First, the flight didn’t leave Washington’s Reagan National Airport until an hour after its scheduled departure to Denver thanks to storms in Colorado. Then, as the flight got closer to its destination, the plane was forced to circle over Nebraska as the storms grew more intense. But the plane began to run low on fuel and was forced to land in Cheyenne, Wyoming, where it sat on the tarmac. Knowing he had a potentially angry set of passengers, Brandner did the smart thing. “He said, 'Ladies and gentleman, Frontier Airlines is known for being one of the cheapest airlines in the U.S., but your captain is not cheap. 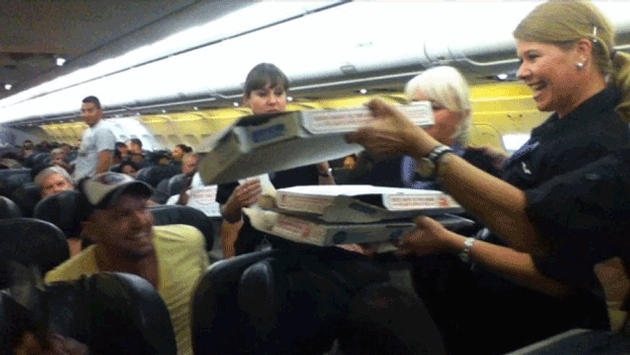 I just ordered pizza for the entire plane,’ ” passenger Logan Marie Torres told KDVR television in Denver. Sure enough, less than hour later, Domino’s Pizza in Cheyenne delivered 35 pizza pies. Domino’s Pizza manager Andrew Ritchie said he was just about to let his employees go for the night when he received the call at about 10 p.m. The 35 pizzas were made in about 30 minutes; Domino’s usually makes about 35 an hour, Ritchie said according to the Associated Press. "Actually, they were super excited. They had a blast,” Ritchie said. “It was a challenge. It was definitely one of those 'challenge accepted' moments in time."